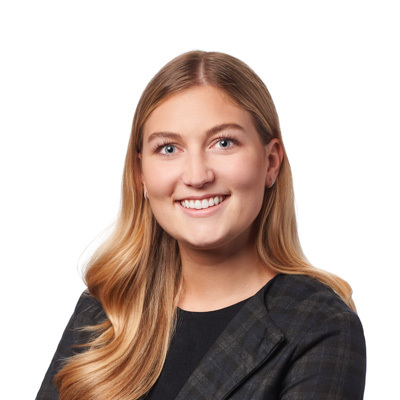 Rosalie Munger has been a law student in Gowling WLG’s Montréal office since May 2018, and is set to complete her articling at this office in 2020. Before starting her law studies, Rosalie completed two years in political science at the Université de Montréal where she received an honourable mention from the Dean of the arts and science faculty. She was also the assistant officer for land registration at the Montréal Land Register (Registre foncier de Montréal) for a year, and part time during her school term. Throughout her studies, Rosalie was involved in many extracurricular committees such as the Université de Montréal’s Law and Politics Committee (Comité droit et politique de l’Université de Montréal), and McGill University’s Law School Graduates Corporation (Corporation des étudiants et étudiantes finissants(es) en droit) and the Research 4 Refugees, which is a Pan-Canadian law initiative. She also volunteered at the Manoir Outremont senior’s home.